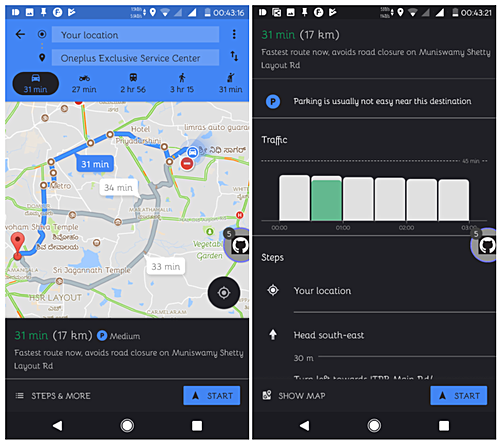 If you are a Google Maps user in India who commutes by a two wheeler, you'll be happy to know that the application has gained a new feature aimed at making your drives more convenient. Yes, you guessed it right - there's now a new 'motorcycle mode' alongside other existing options. 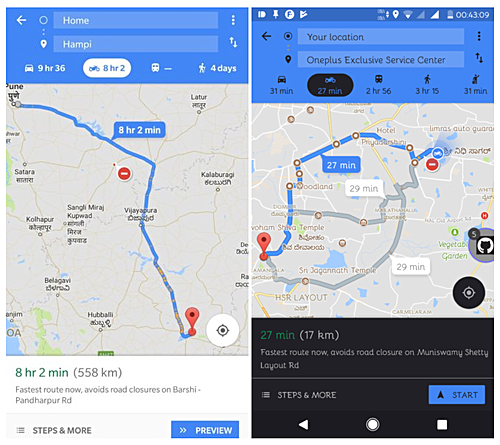 So those with a two wheeler can now easily find the best/shortest/most efficient route for their journey using Google Maps. What's more, the feature will also tell if you there's a road blockage on the way or parking issue near your destination. This new functionality is arriving as part of version 9.67.1 of Google Maps. No information yet on if and which other regions are getting it. Nah. Showing designated stitting shreet along the way is more preferable.